Recorded on Saturday, May 26, 2018, 7:50 a.m. to 1:15 p.m. 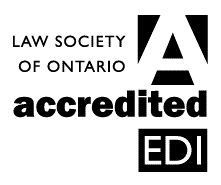 The Criminal Lawyers’ Association 2018 Annual Spring Conference held on May 26, 2018 has been accredited for 1 hour and 25 minutes of Professionalism Content. This program is also eligible for 3 hours and 30 minutes of Substantive Content. This year we thought we would be a little more eclectic with our topics. All of the topics, however, relate to first impressions, and delving beyond that which meets the eye. Each of the panels revisits hot topics of the past, but with a more current approach keeping in mind not only recent case law, but also the need for our members to increase their focus on self-care in this wonderful, yet at times, devastating business of practicing criminal law. The first panel, “Sexual Assault Allegations in the Me Too Era” will deal with giving criminal practitioners tips and strategies in dealing with these types of allegations in today’s climate. As criminal defence lawyers, we need to ensure our clients are given the best defence available to them. We also need to ensure that we do this effectively, yet respectfully, keeping in mind the rules of ethics and the expectation that we conduct ourselves in a professional manner. That being said, we must leave no stone unturned in the process. “Staying Sane in This Crazy Business” is a panel that is long over-due. It will focus on what we, as criminal defence lawyers, who are busy helping the downtrodden, neglect the most – recognizing the signs that perhaps we need to deal with our own self-care before we can effectively help others. A key member of this panel will be Dr. John Bradford (Member of the Order of Canada and Jubilee Medal recipient) who will bring his incredible speaking talents to bear on a problem with which he is personally familiar. The “Ammunition and Where to Find It” panel will offer our members the ways and means to obtaining third party and other pertinent records to assist in either resolving the case before trial, or in an effective cross-examination of crown witnesses. This panel will specifically address that challenges from the Crown (mis)interpretation of the SCC ruling in R. v. Quesnelle. “Challenge the Authorities” is a panel which will deal with search warrants and the information to obtain the search warrant. 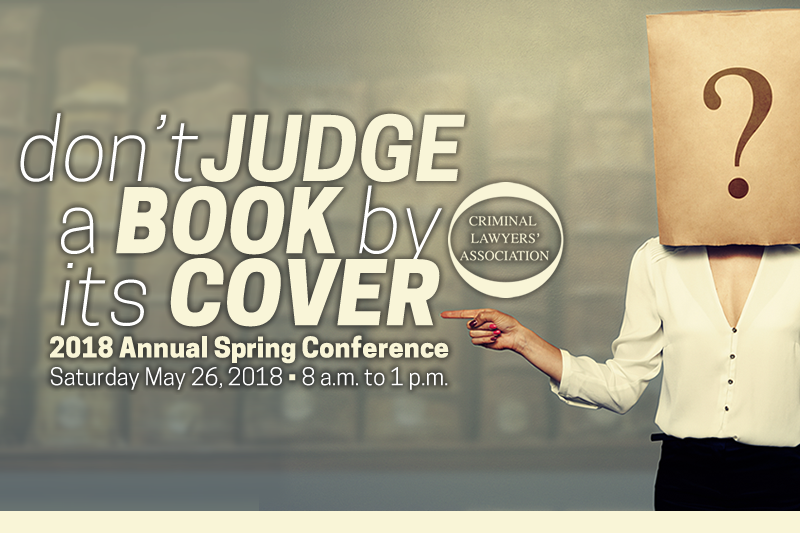 This panel will give practical and unique tips on issues that may not seem readily apparent in these documents, and ways in which to bring these issues to the court’s attention with the intention of having the evidence seized excluded from the trial proper. Of course, there could not be a Spring Conference without our Top Five in Five Under Five. Our newish lawyers who have been practicing for less than five years will summarize recent appellate decisions in order for us to remain current. And late breaking news – Bill C-75 has just been announced and in an attempt to keep all members current, we have a special guest attending our program, Marco Mendicino, Parliamentary Secretary to the Minister of Justice and Attorney General of Canada, who will explain the new proposed changes and answer questions we may have. 7:50 to 8:10 a.m.: Check in, networking and beverages/snacks. A discussion concerning this new proposed new legislation and how it will affect those in the criminal justice system. All registrants will receive a PDF copy of the conference materials. Purchase the webcast by going to http://www.karelo.com/register.php?BID=372&BT=10&Ev=18023 or call the CLA office with Visa or Mastercard to register over the phone. Call 416-214-9875.